Abu Dhabi, 2015-3-23 — /Travel PR News/ — Shareef Al Romaithi, a 31 year-old Etihad Airways First Officer, has become the first Emirati to obtain a PhD in aviation from Embry-Riddle Aeronautical University, which also makes him the youngest and the eighth holder of this distinctive degree in the world. His educational journey began in 2005 when he obtained his Bachelor’s Degree in Aerospace Engineering. He went on to complete two Masters degrees in Aviation and Aerospace Management and Safety Systems. In 2010 Etihad Airways sponsored his PhD studies at Embry-Riddle Aeronautical University, the world’s largest, fully accredited university specialising in aviation and aerospace. 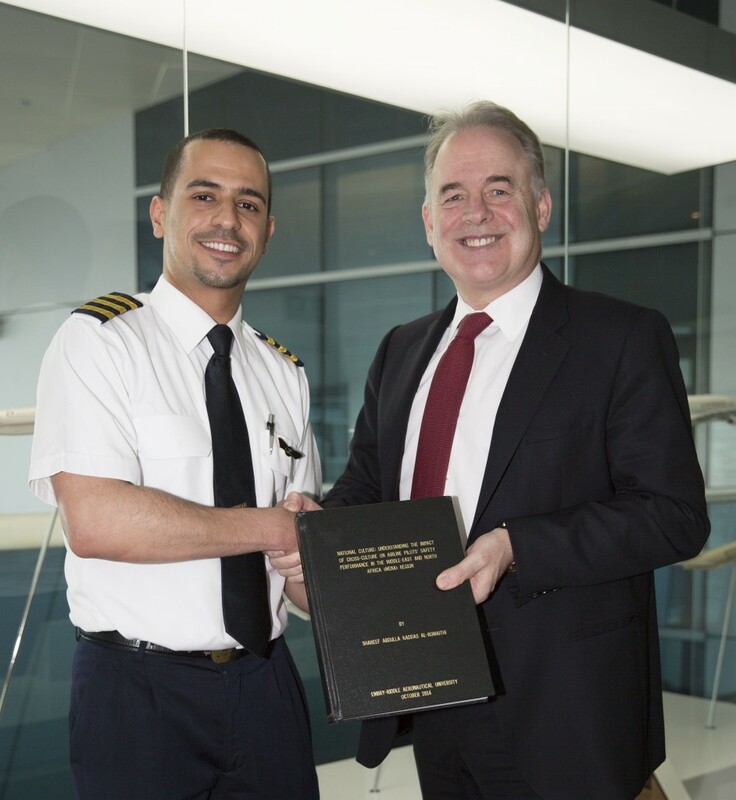 Shareef’s research-based dissertation addressed the importance of understanding the impact of cross-culture on airline pilots’ safety performance, specifically in the Middle-East and North Africa. Etihad Airways holds equity investments in airberlin, Air Serbia, Air Seychelles, Aer Lingus, Alitalia, Jet Airways and Virgin Australia, and is in the process of formalising an equity investment in Swiss-based Etihad Regional, operated by Darwin Airline. Etihad Airways, along with airberlin, Air Serbia, Air Seychelles, Alitalia, Etihad Regional, Jet Airways and NIKI, also participate in Etihad Airways Partners, a new brand that brings together like-minded airlines to offer customers more choice through improved networks and schedules and enhanced frequent flyer benefits. For more information, please visit: www.etihad.com. This entry was posted in Airlines, Flights, Travel Education & Courses, Travel Management, Travel Marketing, Travel Services, Travelers and tagged Embry-Riddle Aeronautical University, Etihad Airways, first Emirati to obtain PhD in aviation from Embry-Riddle Aeronautical University, Shareef Al Romaithi. Bookmark the permalink.